SOM-7565 A2 is a COM-Express Mini module with pin-out Type 10 that fully complies with the PICMG (PCI Industrial Computer Manufactures Group) COM.0 R2.1 specification. 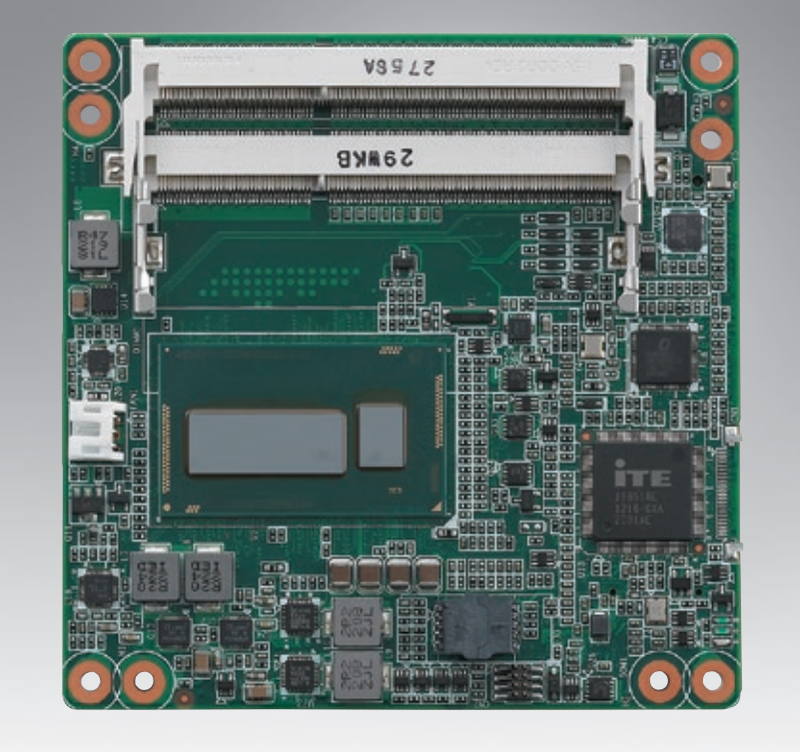 The new CPU module uses an Intel Atom processor N2800/N2600 which contains Intel GFX Core GMA3600 supports full MPEG2, AVC/H.264, and VC- 1 HW decode/acceleration, with NM10 chipset which supports advance expansion interface like PCI Express and I/O interface like Serial ATA (SATA), USB2.0. EMAC can build the SOM-7565 with any option mix you require. Build-To-Order can offer a significant cost savings when only a certain subset of options are needed! 25 piece minimum required.